There are two thermal printing methods: direct thermal and thermal transfer. Each method uses a thermal print head that applies heat to the surface being marked. Thermal transfer printing is a digital printing process in which material is applied to paper (or some other material) by melting a coating of ribbon so that it stays glued to the material on which the print is applied. Thermal Transfer printers, require a ribbon to apply print to the label surface Thermal Transfer printing provides a very high print quality and durability when compared to other types of printing technologies. Thermal transfer printing uses a heated ribbon to produce durable, long-lasting images on a wide variety of materials. All brands barcode thermal transfer printer are available with us like TSC, Godex, Zebra, ARGOX, citizen, Datamax and TVS. Thermal printing (or direct thermal printing) is a digital printing process which produces a printed image by selectively heating coated thermochromic paper, or thermal paper as it is commonly known, when the paper passes over the thermal print head. No ribbon is used in direct thermal printing, which creates the image directly on the printed material. Direct thermal media is more sensitive to light, heat and abrasion, which reduces the life of the printed material. If the label is exposed to excessive light or heat the material will darken to the point that text may become unreadable and barcodes may lose their ability to be scanned. All brands direct thermal printer is available with us Like Brother, Epson, Dymo And Direct Thermal Receipt Printer is also available with us like Epson, citizen and TVS. 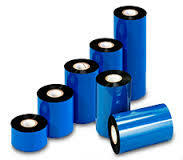 Barcode Bazar is dealer of ally type of thermal printers and consumable. All type of thermal printer are always available with us like card printer, barcode printer, label printer and receipt printer. 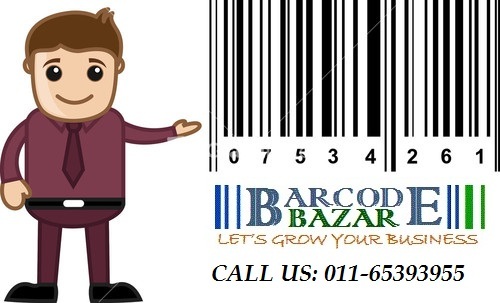 Barcode Bazar is leading barcode solution provider. 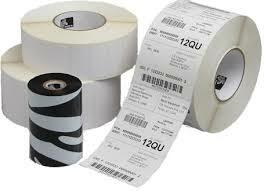 we always have stock of barcode printer, ribbon , scanner and blank labels. There are Three type of thermal transfer ribbons wax, wax/ resin and resin so its important to know the application of printing labels to decrease the cost of printing. The most cheap of all thermal transfer ribbons. Wax ribbons have a high percentage of wax based substance in the colorant. Most wax ribbons are made with a single colorant layer. This ribbon can print at lower heat settings or energy due to waxes have lower melting points than resin substances. Wax ribbon use for softer image it is not durable against smudge, scratch, chemical and environmental resistance. Wax ribbons can be used for general purpose labeling, shipping labels, address labels, garment tags, price tickets, warehouse applications, compliance label printing, including shelf and bin labels, retail tag and label applications. Barcode Bazar is leading barcode solution provider in India we know that its important to understand the requirement of customer. 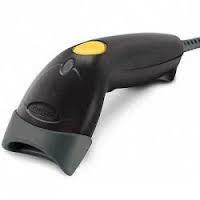 W e are dealer of all type of barcode scanner . We are providing each and everything in barcode from anything to everything in barcode like barcode printers, barcode scanner, pre- printed barcode labels, barcode pri printed PVC card etc. we are dealer of barcode printer from manufacturers like Argox, Citizen, Godex, TVS, Zebra, TSC and DataMax and barcode scanner form Motorola, Honeywell, Argox, Datalogic ,Godex And Tvs . Today, we’ll help you choose the right types of barcodes scanner. 1 D barcode scanner can only scan 1D Scan but 2 D Barcode scanner can scan both type of barcodes. Two-dimensional (2D) barcodes look like squares or rectangles that contain many small, individual dots. A single 2D barcode can hold a significant amount of information and may remain legible even when printed at a small size or etched onto a product. Honeywell Xenon 1900: Honeywell Xenon 1900 is the sixth-generation of area-imaging technology, is redefining the standard for hand-held scanners. Featuring a custom sensor that is optimized for bar code scanning, it offers industry-leading performance and reliability for a wide variety of applications that require the versatility of area-imaging technology. Argox AS9500: Argox has launched its first 2D barcode scanner, the AS-9500. The new handheld scanner is small, lightweight and easy-to-use, and not only does it read all popular 1D and 2D barcodes, it also reads postal codes and OCR. Godex GS550: Godex GS550 2D Barcode scanner can read most popular 2D and 1D barcodes. From barcodes on regular paper to electronic screen, the Godex GS550 barcode scanner meets a wide range of barcode scanning applications. Datalogic GBT4400:The Gryphon I GBT4400 2D barcode scanner has advanced reading technology with the ability to detect the natural actions of the operator to produce user-friendly features and high performance. TVS BS I201N: TVS Electronics BS-I201N - the barcode Scanner capable of reading Common 1D and 2D barcodes. Barcode Bazar is leading distributor and dealer of all brands of barcode printer and scanner. We are providing each and everything in barcode from anything to everything in barcode like barcode printers, barcode scanner, pre- printed barcode labels, barcode pri printed pvc card etc. we are dealer of barcode printer from manufacturers like Argox, Citizen, Godex, TVS, Zebra, TSC and DataMax and barcode scanner form Motorola, Honeywell, Argox, Datalogic ,Godex And Tvs . Barcode is the basic need of every industries. We have all type of barcode printer for small scale business application to industrial application and from small size of label to big size label. All type of barcode scanner is available with us our barcode scanner range include all type of scanner in all type handheld and Mobile scanner ,hand free. Honeywell is the most trusted name in the world of barcode scanner world. 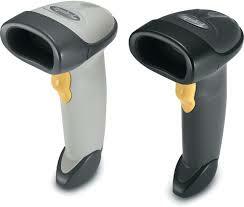 Honeywell provide the best barcode scanner solution for all type of industries. Honeywell scanner range include all type of scanner in all type handheld and Mobile scanner ,hand free. Along with the brand trust you get surety of the best service from Barcode bazar. The authorized dealer of Honeywell scanner. Honeywell Xenon 1900: Honeywell Xenon 1900 is the sixth-generation of area-imaging technology, is redefining the standard for hand-held scanners. Featuring a custom sensor that is optimized for bar code scanning,it offers industry-leading performance and reliability for a wide variety of applications that require the versatility of area-imaging technology. Honeywell’s Voyager™ 1202g: Honeywell’s Voyager™ 1202g is the single-line laser Bluetooth barcode scanner having the freedom of Bluetooth wireless technology and provides a field-replaceable battery that can be quickly and easily exchanged. Honeywell Voyager 1450 : Honeywell Voyager 1450 delivers 2D bar-coding and 2D bar coding is becoming the new standard. Not only is it possible to hold much more data in a 2D barcode, but government regulations and supplier mandates are requiring their adoption. Honeywell 1300G: Honeywell 1300G featuring an ideal balance of performance and durability, the Honeywel Hyperion 1300g barcode scanner provides years of hassle-free scanning, especially in scan-intensive or light industrial applications. Honeywell MS7120: Honeywell's Orbit 7120 omnidirectional barcode scanner—the all-time, best-selling hands-free omnidirectional laser scanner—is an innovative, elegant and affordable solution for convenience retail applications . Honeywell’s Stratos 2700 The Honeywell’s Stratos 2700 is first hybrid biopic in-counter barcode scanner that combines omnidirectional laser scanning and integrated area-imaging to provide a barcode reading platform optimized for the checkout experience at affordable price. Honeywell’s Dolphin 6100: Honeywell’s Dolphin 6100 is a stylish and reliable mobile barcode scanner that provides advanced data collection and real-time wireless communication for in applications including price lookup/audits, inventory management, customer assistance, and merchandising. Honeywell’s ScanPal 5100: Honeywell’s ScanPal 5100 is a lightweight and reliable mobile barcode scanner that provides versatile data collection for communication within in applications including data lookup/audits, inventory management, customer assistance, and merchandising.